Searching homes for sale in Jalisco, Mexico has never been more convenient. 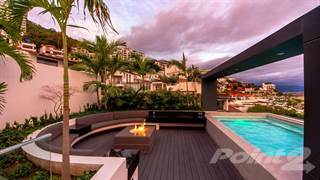 With Point2 Homes, you can easily browse through Jalisco, Mexico single family homes for sale, townhomes, condos and commercial properties, and quickly get a general perspective on the real estate market. Point2 Homes gives you far more than a simple list of houses for sale. Get instant access to loads of relevant information about Jalisco, Mexico real estate, including property descriptions, virtual tours, maps and photos. If you like a house for sale and you want to speak with a professional, simply contact the listing agent right from page of listing details. Or if you want to talk to an agent before anything else gets done, you can click the Tools tab and Find an Agent – you get a list of real estate agents in Jalisco, Mexico, all ready to give you top-notch professional advice on house prices and more detailed information about your target area. Use the map view to find homes and apartments for sale based on amenities and features in Jalisco, Mexico that you may want close by. You can select your preferred area or neighbourhood by using the radius or polygon tools in the map menu. Filter among the 551 listings in Jalisco, Mexico, based on real estate price drops in the past six months, so you’ll never miss a bargain. Get new listings in your inbox, daily or every week, based on your preferences, by simply saving your searches. All it takes is two clicks. Located on the west side of Mexico, Jalisco is the fourth largest state in the country. There are approximately 7.8 million people living within the 30,343 square miles of Jalisco and it borders the states of Nayarit to the north and Colima to the south. On the western border is the Pacific Ocean. There are many industries helping to drive the economy in Jalisco. Tourism, along with commerce including hotels and restaurants account for over 25% of the state’s economy. Other major sectors include electronics and cybernetics, which account for over three-quarters of the goods being produced in Jalisco. From tourism in Puerto Vallarta to the booming industrial infrastructure of Guadalajara, there are ample opportunities throughout Jalisco.The largest university in Jalisco is the University of Guadalajara, which dates back to 1792 and has an average student population of approximately 110,000 students. Jalisco has a motto: “Jalisco is Mexico.” The culture and history in Jalisco has played a major role in both the establishment of the state and the attitude of the country. Everything from Mariachis to wide brimmed sombreros even to tequila originated from Jalisco. There are many Spanish religious influences found throughout the state and over 95% of the population identify as Roman Catholic. There are many beautiful cathedrals found throughout Jalisco. Jalisco was home to many different indigenous peoples and there is evidence that people have been living in the region for over 15,000 years. In the 16th century, Spanish explorers and conquerors began settling in the Jalisco area. You’ll find the Tequila tourism and beautiful Puerto Vallarta beaches as well as the Guadalajara Cathedral, also known as the Cathedral of the Assumption of Our Lady, which was constructed in 1541. The climate in Jalisco, for the most part, is considered temperate. In Guadalajara, the hottest months are April, May and June with average temperatures reaching into the upper-80s to low-90s. July and August are the rainiest months, in which Guadalajara receives nearly half of its 40 inches of annual rainfall. Puerto Vallarta is considerably warmer with temperatures reaching into the 90s from June through November. July, August and September are the rainiest months, and Puerto Vallarta receives almost three-quarters of its annual rainfall during this time. Real estate and rentals are pretty affordable in Jalisco, including Guadalajara and Puerto Vallarta. 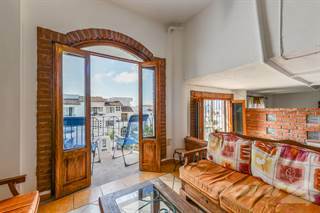 Whether you are looking for a condo with an ocean view or a home in the center of the city, there is real estate available to suit all budgets and preferences. Jalisco is a thriving state with plenty of opportunities to live, work and study. There are dozens of higher education institutions and plenty of employment opportunities through commerce and industries such as tourism. There are many museums found in Jalisco including 22 in Guadalajara alone. Some of the most popular museums are the Museum of Jalisco and the TrompoMágico Children's Museum in Guadalajara, and the National Museum of Tequila. In fact, The Tequila Route and the Tequila Express are popular attractions and activities for those interested in learning more about Tequila. Cities in Jalisco are home to many incredible annual festivals and events including the Festival of Mariachi and Charreria in Guadalajara which features some of the world’s best Mariachi bands, the Annual Puerto Vallarta Film Festival of the Americas, the Feast of the Virgin of Guadalupe, and the National Festival of Tequila. There are hundreds-of-thousands of students attending higher education institutions in Jalisco. The University of Guadalajara has 15 college campuses and 60 high schools educating over 200,000 students. The school was originally established as the Royal University of Guadalajara back in 1792. There are four pro football teams in Guadalajara: CD Guadalajara, Universidad de Guadalajara, Tecos FC and Atlas. There is also the EstadioOmnilife which is one of the largest stadiums in Mexico and seats over 45,000. Bull riding and rodeo known as ‘charreadas y jaripeos’ are fun events with origins going back hundreds of years as competitions between ranch hands. Jalisco has a unique nightlife. Guadalajara and Puerto Vallarta offer plenty of hotspots that cater to the foreign travelers. Popular bars and nightclubs in Puerto Vallarta include the Redneck Sombero and the Day Off Beach Bar. In Guadalajara, Cantina La Fuente and El Parian are popular locations. The award-winning La Capilla is located in the town of Tequila and is run by the original owner’s grandson. The resort town of Puerto Vallarta is home to just 255,000 people but is considered a major tourist destination. Nearly 50% of the employees in Puerto Vallarta work in the tourism industry. A city airport and investment in infrastructure has allowed this region to thrive. Puerto Vallarta has become known as a very gay-friendly destination and many gay and lesbian Mexicans choose to visit this city. Over 93,000 citizens call Zapotlán el Grande home. The Kingdom of Zapotlán was located here before the arrival of Spanish conquerors. The Fiesta de Octubre is a famous 19 day fiesta taking place every October. To the northeast of Guadalajara is Tepatitlán. Filled with beautiful architecture, there are many cathedrals to be seen in Tepatitlán including the Temple of San Antonio and the San Francisco de Asís Church. Tepatitlán is an important city in Jalisco and has a very high literacy rate of 97%. The capital and largest city in Jalisco, Guadalajara is considered a cultural center and boasts over 20 colleges and universities. Investment by foreign entities has been strong as they have been able to take advantage of an affordable yet highly educated work force. Guadalajara is considered the third largest economy in Mexico with commerce and tourism encompassing nearly 60% of the economy. Tourism is a major industry in Jalisco and has increased over the last few years. Along with adding more dollars to the economy, it is also showing vacationers a beautiful location to live in. Housing options are very affordable compared to other major cities such as Mexico City where rent is 50% more expensive than in Guadalajara. Nevertheless, Guadalajara is considered one of the more expensive places to live in Mexico and is considered quite luxurious. The cost of living including real estate and rentals in the coastal city of Puerto Vallarta is comparable to living in Cancun. Puerto Vallarta is attracting many Canadians,especially from Alberta, British Columbia and Ontario. 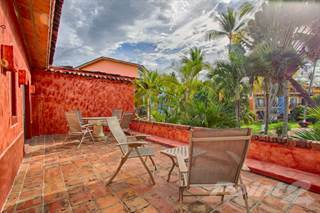 There are many affordable and luxurious options in Puerto Vallarta from condos overlooking the ocean to beautiful villas. Retiring baby boomers and expats are discovering Jalisco and continue to purchase property in the areas that are well-developed such as Guadalajara, Lake Chapala, Ajijic and Puerto Vallarta. The largest higher education institution in Jalisco is the University of Guadalajara with a student population of nearly 110,000 students in their undergrad program plus nearly 140,000 students in their high school program. Other major universities in Jalisco are the Universidad Autónoma de Guadalajara, the InstitutoTecnológico de EstudiosSuperiores de Occidente and the Universidad del Valle de Atemajac. Jalisco is home to over 20,000 schools, with most being private schools. The state’s public schools are managedby the federal government’s Secretary of Public Education and are free for all citizens of Mexico. Most foreigners, however, choose to send their children to a private school.